Founded in 1891, SMLS has been a leader in education for girls and young women for more than 125 years. 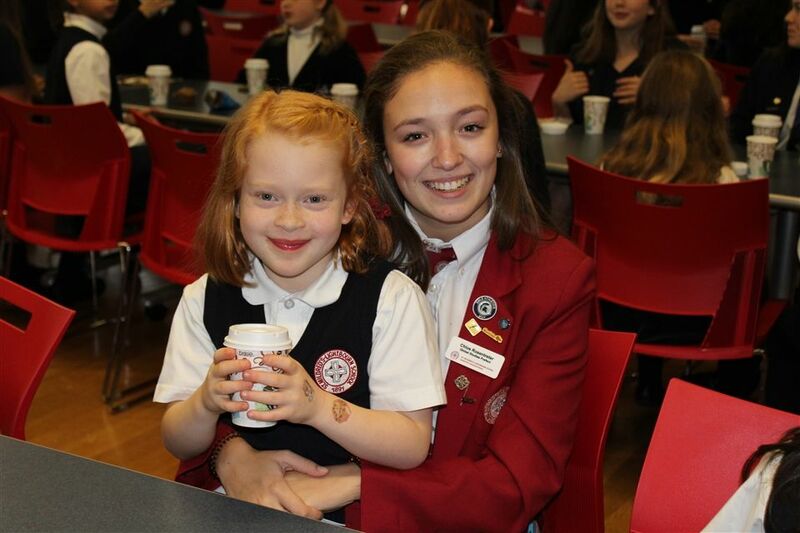 As the only CAIS accredited, all-girls school west of the city, our niche is girls and learning. We believe courageous girls can challenge and change the world. 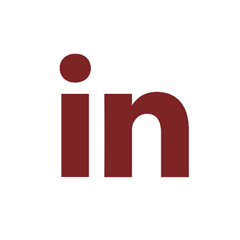 Our academic program utilizes the highest standard of proven best practices and innovative approaches. We identify each girl’s academic strengths and challenges, so that we can support her in achieving success and confidence in her own abilities. We focus on the social, emotional, spiritual and physical wellbeing of every girl from Preschool to Grade 12. We understand developmental stages of girls and work with each girl to ensure she is known, supported, and challenged to be her best self. Our faculty members are experts in their fields, with extensive experience in teaching and learning designed for girls. They get to know each girl and form a personalized connection to help her thrive in her education at SMLS and beyond. 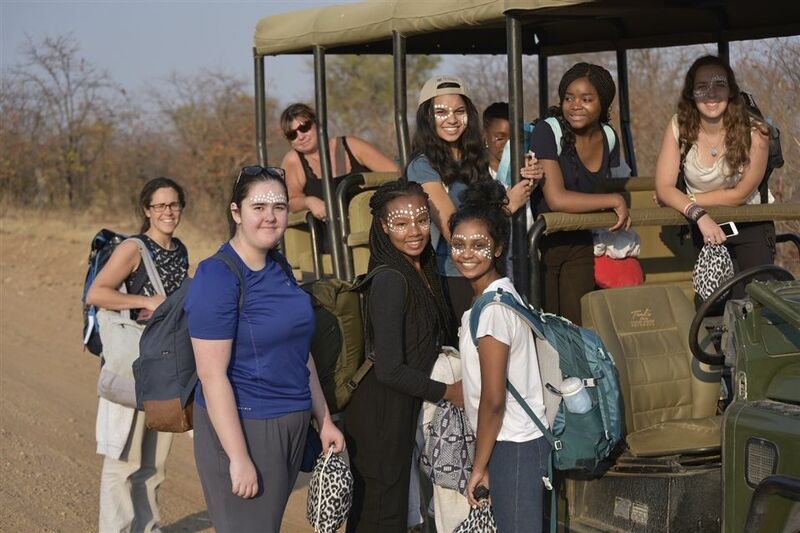 Our program integrates academic studies with relevant career and life experiences, allowing students to gain a deeper personal understanding of the world around them and to develop as global citizens and leaders. become women who will challenge and change the world in their own, unique way. 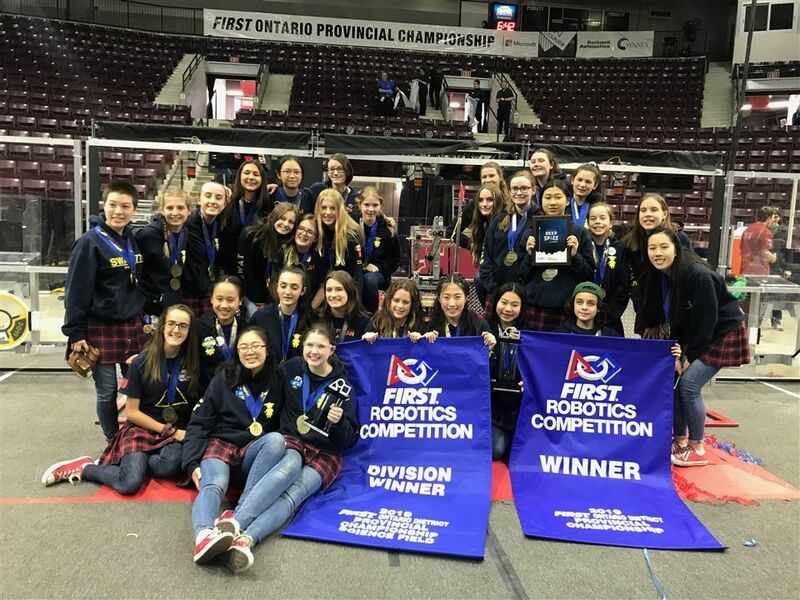 Our goal is not only to prepare girls for post-secondary education, but to provide them with the courage and skill to pursue their individual passions. SMLS was honoured to have alumna Dr. Lauren Briens '87 as keynote speaker for International Women's Day on March 8. Dr. Briens is an engineer, professor of engineering at Western University, and the first female member of the senior administration at Western's Faculty of Engineering. She spoke with students and guests about challenges and triumphs she has experienced as a woman in engineering, and gave girls invaluable advice, encouraging them to seek out mentors and to be brave in overcoming obstacles they may face when blazing their own trails. 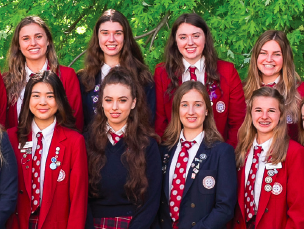 SMLS students, staff and special guests enjoyed an inspirational assembly for International Women's Day on March 8, featuring student speakers and performers, and a keynote address by alumna Dr. Lauren Briens '87. Thank you to everyone who participated and attended! The SMLS Alumnae Association officially welcomed graduating students as its soon-to-be newest members at a luncheon on Thursday, March 7. 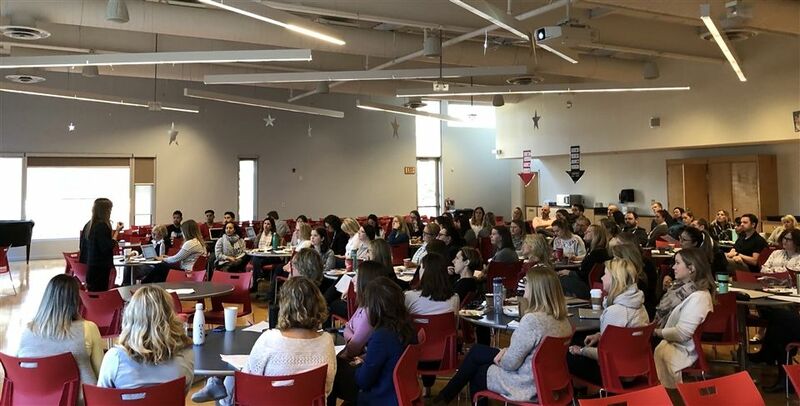 Head of School Nancy Richards and Association President Stephanie Kennedy congratulated students on their achievements and encouraged them to stay connected with one another and with the school after they graduate. Ms. Kennedy spoke about the strength and value of the alumnae network at SMLS and Ms. Richards advised students, "Look around you today - these young women will be your friends for life!" School Spirit High at SMLS this Week! 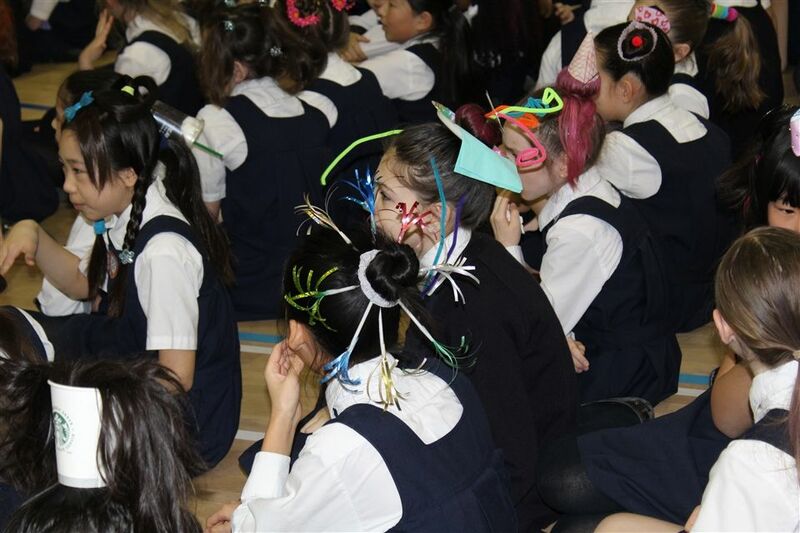 March 4 - 8 is School Spirit Week and students and teachers kicked it off with Crazy Hair Day -- fun and imagination at SMLS!